Don Boggs serves as the associate dean for academic programs for the College of Agriculture at Kansas State University. Boggs was raised on a diversified grain and livestock farm in Central Illinois. He received his Bachelor of Science degree from the University of Illinois, Master of Science from Kansas State University and a doctorate from Michigan State University. Boggs was on the research and teaching faculty at the University of Georgia for six years. He moved to Brookings, S.D., in 1988 to become the Extension beef specialist at South Dakota State University, and in 1998 he became head of the Department of Animal and Range Sciences at SDSU. As associate dean at Kansas State since 2005, Boggs has oversight of all College of Agriculture activities related to the teaching programs. The college has approximately 2,700 undergraduate students in 15 majors and approximately 550 graduate students and offers 19 graduate degrees. 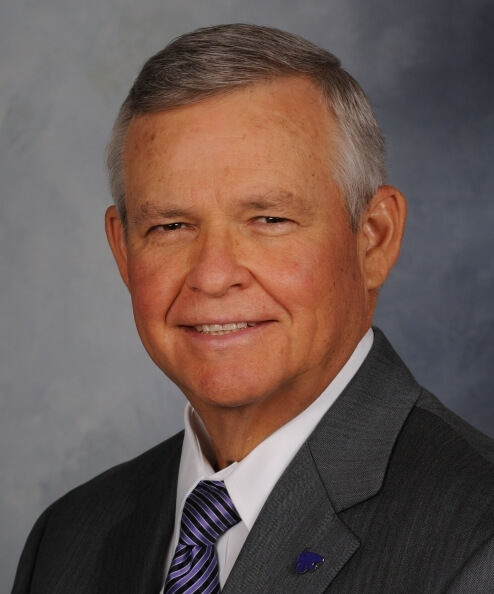 Boggs formerly served as chair of the executive board of the Agricultural Interactive Distance Education Alliance, and he served as chair of the academic committee on policy and the agricultural academic programs section of the Association of Public and Land-grant Universities.